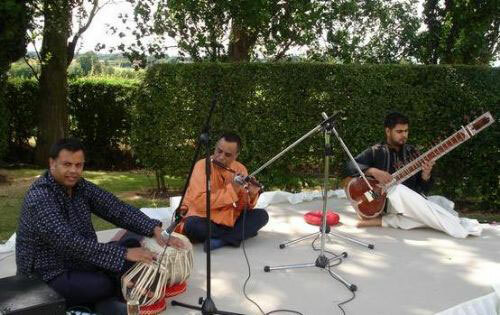 This professional duo will play an engaging and delightful mix of authentic Indian classical ragas and the most famous Bollywood tunes to give your event a truly Indian feel. 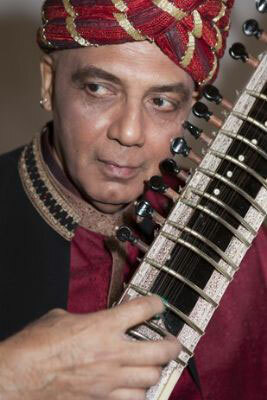 The melodic, lilting strains of the sitar combine perfectly with the infectious rhythms of the tabla playing tuneful ragas that are easy on the ear. 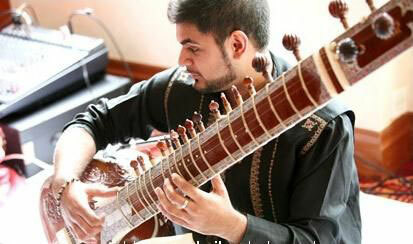 For a slightly more textured sound, additional instruments can be included in the band including traditional flute or, for an exciting fusion of East meets West, keyboards or saxophone. The music is extremely versatile and can be adapted to suit a whole range of occasions, whether background music at a wedding or formal dinner or an intricate stage show at a corporate event. 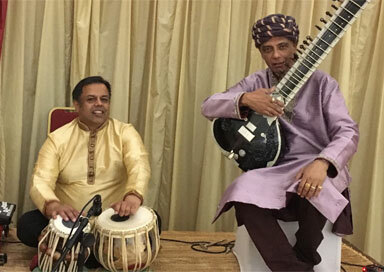 This duo is made up of musicians with over 20 years of live performance experience meaning they have the expertise to make any occasion a success. 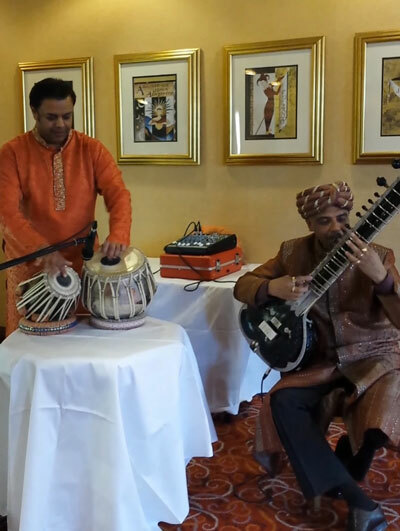 The ensemble are happy to travel all over the country and are completely self contained, providing a high-quality PA system and authentic traditional Indian clothing to add to the visual spectacle. Weather permitting, they can also play outside.